This blue public tram system dates back to 1901 and represents the old Barcelona before the war. If you want to see amazing views of the city this tram runs to the foot of Tibidabo, past Mondernista and Noucentista buildings to get the best of all that Barcelona’s architecture has to offer. We hope you enjoy your stay at our hotel for family in Barcelona. 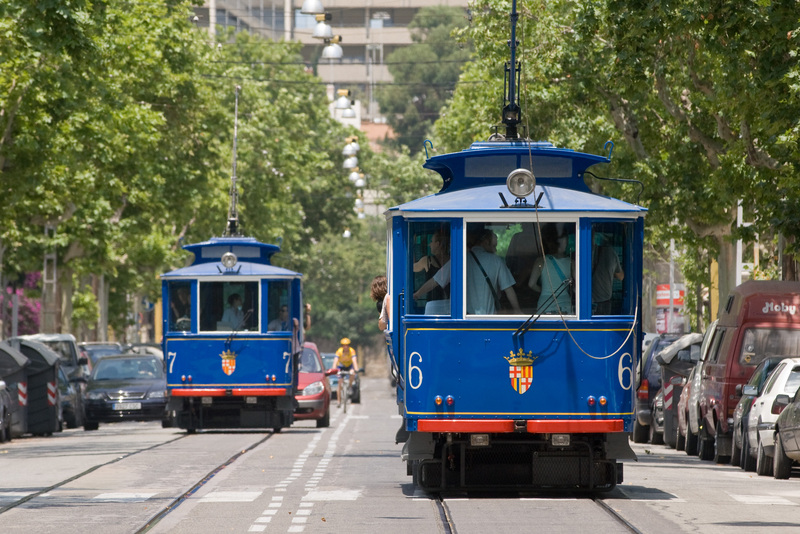 Tramvia Blau was part of the originally tram system in Barcelona. It was originally built to promote the new residential project around the axis of the Avendia Tibidabo at the instruction and funds of Sr. Salvador Andreu in 1901. Another line was opened in 1954 under Placa Kennedy, however in the 1960’s the city trams were withdrawn from Placa Kennedy, therefore the line as well. In 1971 the remaining tram routes of the Tranvias de Barcelona company were closed. Only the separately owned Tramvia Blau remained in operation and was in private ownership until 1979. After that it was taken over by the city and is now the only tram route in the city. This line was kept untouched because of its huge tourist attractions as well as to showcase the public systems of transportation in the early century. This route also allows people to get to the Tibidabo fairgrounds easier by ending at the base of Tibidabo mountain. Even though it is called Tramvia Blau there is occasionally a red tram with the number 129 on it. 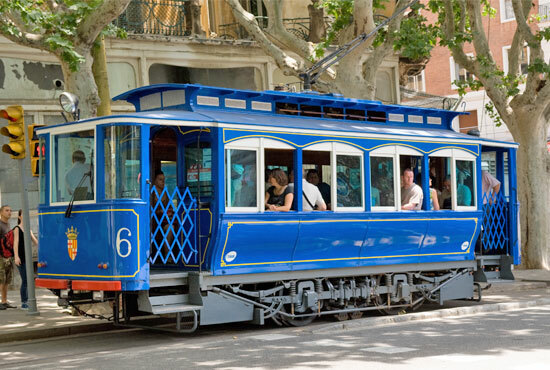 Take a history tram ride in the upper part of Barcelona to experience the ultimate showcase of historic buildings and splendid Barcelona architecture. Enjoy your stay in our familial aparthotel in Sarrià!